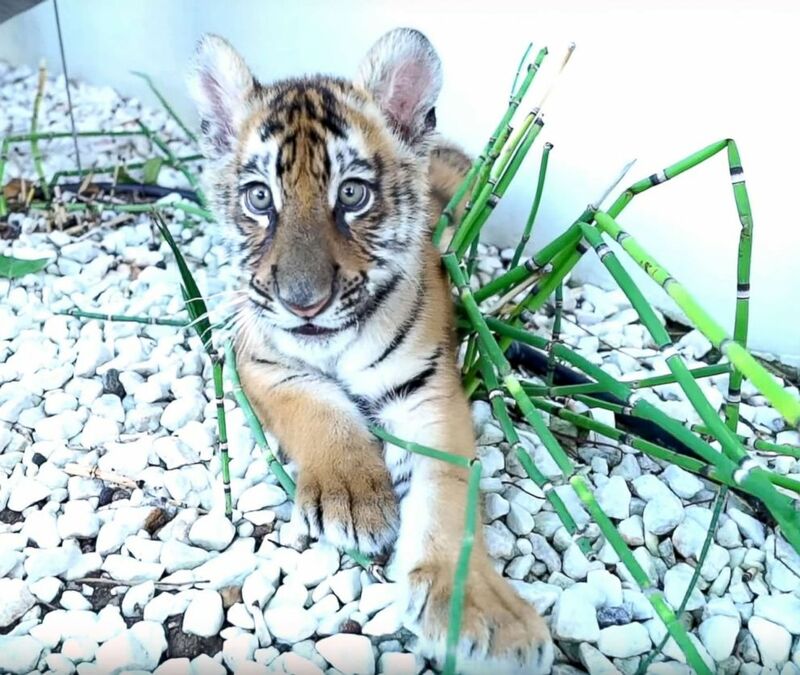 A California man is facing multiple charges for allegedly keeping and mistreating a tiger cub at his Los Angeles home, according to authorities. The California Department of Fish and Wildlife became aware of the tiger after an anonymous tip reporting the tiger on Instagram, posing with a model, Los Angeles City Attorney Mike Feuer announced Wednesday in a press release. That tip was confirmed after the owner of the tiger, 32-year-old Nicholas Perkins, appeared in a video with YouTube star Logan Paul posted on Oct. 21, 2017, authorities said. Perkins was identified through references in the video, which received more than 8 million views, according to the statement. Paul was not charged. In the video, Paul and others interact with the small cub in a backyard pool area of a home. 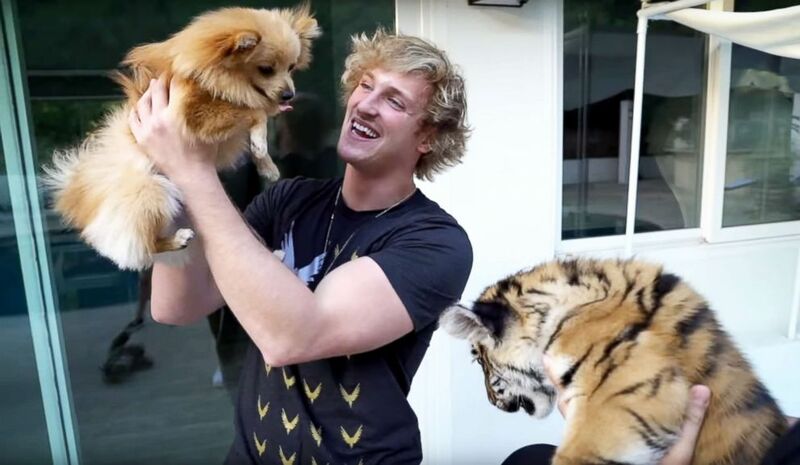 Paul then introduces the "very friendly tiger" to a Pomeranian named Kong, which causes them both to growl, the video shows. Los Angeles authorities were able to charge Nicholas Perkins, 32, after he appeared on a YouTube video with vlogger Logan Paul in 2017. During a search of Perkins' home in Studio City on Nov. 9, 2017, investigators found "extensive evidence of the animal's poor living conditions," according to the city attorney's office. In addition, Perkins was allegedly bottle-feeding the tiger cub with kitten milk replacement formula, the release stated. The tiger was then taken into custody and placed in a large cat rescue sanctuary in north Los Angeles County, where it has since made a “full recovery,” according to officials. Perkins faces two counts of illegal possession of a tiger, one count of mistreatment of a tiger and one count of possession of anabolic steroids, according to the release. If convicted, he could face up to two years and six months in jail and up to $4,000 in fines, authorities said. California has "some of the strongest restricted species laws in the country,” said David Bess, deputy director and chief of the law enforcement division of the California Department of Fish and Wildlife. "They’re designed to protect exotic animals from neglect and improper care and serve to protect the public from these animals, many of which can be dangerous," Bess said. "Our Wildlife Trafficking Team, working with the City Attorney’s office, are sending a message that exotic species like tigers don’t belong as pets in people’s homes." Perkins' arraignment is scheduled for Dec. 10 in Los Angeles Superior Court. He has not entered a plea, and ABC News could not immediately reach him for comment. It is unclear if he has retained an attorney or why it took a year for a criminal complaint to be filed. 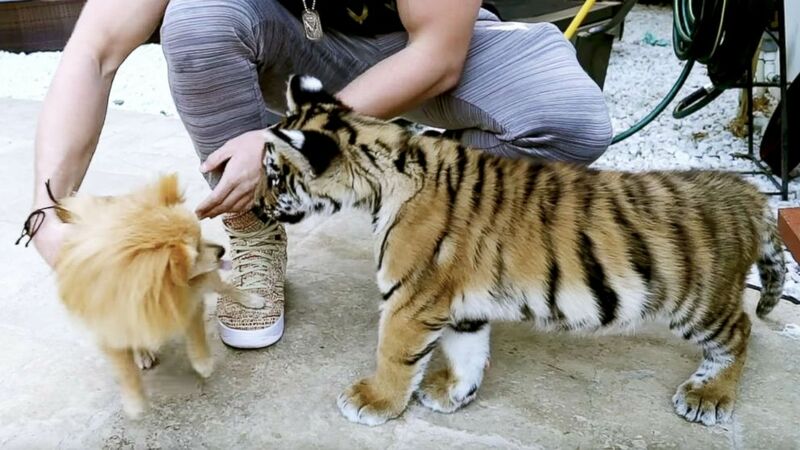 Feuer said the city attorney's office will continue to work to keep "treasured creatures" like tigers and other exotic animals safe and hold the people who illegally keep them accountable. "Tigers and other exotic animals are not pets," Feuer said. "Keeping these potentially dangerous animals in a residential setting poses a serious safety risk for residents and animals alike."